This property is 2 minutes walk from the beach. Situated by the lake, VU Thermal Lodge has a refurbished 500 sqm deck with an outdoor setting and stunning views of the lake and mountains. The property was fully refurbished in November 2016, and now features new owners. VU Thermal Lodge boasts 10 rooms with private pools that are filled with natural thermal water, pumped from 25 m deep. 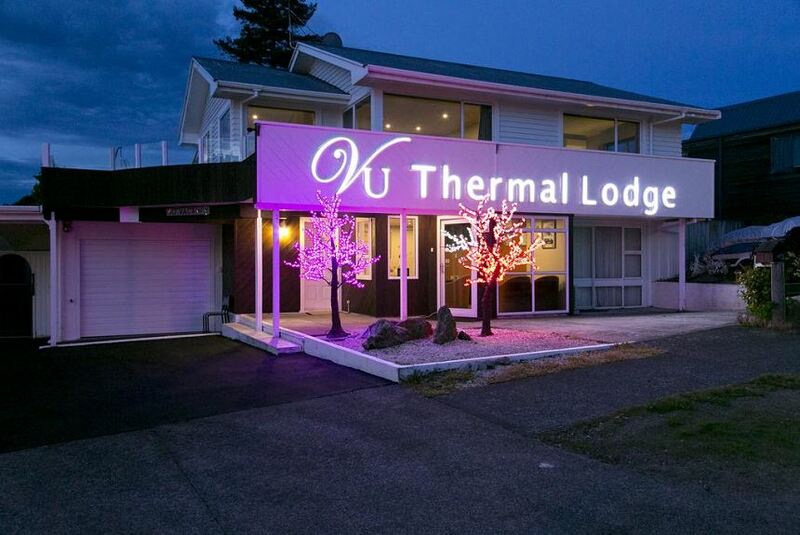 There is an outdoor geothermal heated swimming pool, suitable for use all year round.